In a recent incident reported at All India Institute of Medical Sciences (AIIMS), a senior resident in anaesthesia contracted Hepatitis B Virus on duty. “I took a Hepatitis B surface antigen and antiretroviral therapy for AIDS after the needle prick in the operation theatre. Patients posted for routine OTs here never have viral markers, though it is practised in other places,” said the doctor on the condition of anonymity to a source at DNA. The doctor pointed out that over 200 surgeries are carried out at AIIMS every day and the cases of doctors suffering needle pricks are significant. Medical and surgical caregivers are commonly exposed to a variety of workplace hazards in the course of performing their functions. For a doctor, involved in treating number of patients daily, these hazards come every evidently in the form of various infectious diseases. Moreover, if a doctor is involved in the functioning of a government hospital, where the number of patients are quite high, and the set-up is less than ideal in terms of infection control and personal protective mechanisms, these hazards come very easily. Medical Dialogues team had earlier reported that a study was conducted by AIIMS which showed that majority of doctors stand at a risk of needle-stick injuries and its associated complications. The study which was based on a survey conducted at AIIMS showed that amongst all the HCWs, doctors suffered the most from needle stick injuries ( 73.7%). A further break-up of this figure showed resident doctors constituted 91.4%, followed by interns ( 7.4%), and faculty members ( 1.1%). It also showed that most of the HCWs (97.5%) were vaccinated against hepatitis B virus while (2.5%) were not. Of the unvaccinated HCWs were student nurses and a few resident doctors who had joined medical profession recently. Of the vaccinated, (5%) had completed three doses of the vaccine within 1 year, while (3.9%) were vaccinated more than 10 years back. Several instances like this and similar have been reported in the past, looking at which the Federation of Residents Doctors’ Association (FORDA), the resident doctor’s association in the capital also wrote to the Union Ministry of Health, asking for risk hazard allowance, covering vaccination for all resident doctors reports DNA. 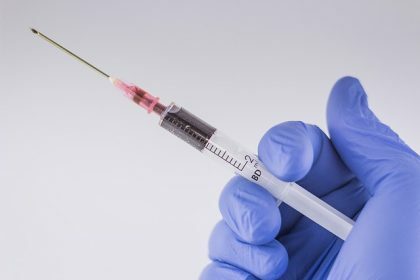 3 comment(s) on AIIMS Anaesthetist Contracts Hep B after Needle Stick Injury: Are our doctors safe? Doctors should be given an insurance and compensation if they get infection or injury at work.There are several rules in favour of workers even if they get injured at work due to their own mistake.Aren\’t doctor human being in this country. Being an aanesthetist and surgeon,they are the most exposed to such risks….lets decide that unless serology markers are not made compulsory for any patients entering ot or even when posted for any surgery or any procedures……its simply impossible for us to work…..in it\’s anymore…….y shud we risk our health…..